Hello! Happy Saturday! 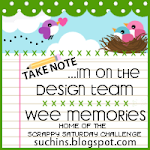 It's the first Saturday of the month and I am here with the Wee Memories Scrappy Saturday Challenge! You should have arrived here from our June Guest Designer Kristy's blog! 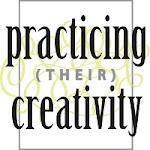 If not join us at Jenny's blog here! I paper pieced the dress and shopping bags with papers from My Mind's Eye. I enjoyed coloring and gluing this card together. Tied a bow to bring it all together! When I was finished I looked at it and thought to myself, hey this is me before I had kids! The long flowing blonde hair the dress and the many bags WAS so me. Oh I loved to shop. I realize now that I am not nearly as bad as I was. Is it because I am older and wiser? Not as much time to shop? Not working leading to not as much money to shop? I think all of it! And I don't wear dresses like I used to, it wasn't easy to nurse a baby in a dress and I nursed my kids for over a year each so I think I just got used to not wearing them! After typing all of this I realized something, now I don't love shopping for me, I love shopping for my kids! Ha! But it's not as bad right? They grow so much and there clothes are cheaper! I really hope you join us and play, and starting with this challenge for the summer our challenges will run for 2 weeks! Summer is a busy time for everyone so this is a great idea! This challenge ends Friday June 17th 11:59 PST. Your next stop on the hop is Ann! I hope that you have a great weekend! Cute card, Anita! That was me, too (but never had the long flowing hair ;)) - beware, once the kids are grown and gone, the shopping bug will return! Mine was nipped by retirement, though :) Happy weekend! Adorable!Love all the paper piecing. I think my clothes shopping has move to stamp/craft shopping!! 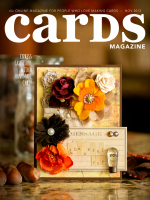 such a fun card...love all the paper piecing and that seems to be my motto.. Such a cute card, Anita! Thanks for the inspiration!!! This is an awesome card Anita! These images are perfect for paper piecing. What a fun card, Anita! Love this card Anita... it reminds me of my 25yr old daughter! I bet she'll be like you once she decides to have kids. But till then she loves shopping!!!! This is super cute! I love all her paper pieced bags and dress!! So cute! Love all the paper piecing. 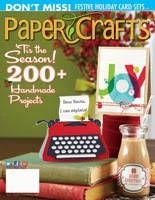 I love this Amber Ink image and your paper piecing really brings it to life. I love it! Hehe!! Totally love that sentiment and the girl is a doll! I used to be such a shopper of clothing, now, I'd rather buy paper and stamps, funny, eh? Love that ribbon tie! So cute Anita! Thanks for having me this month! Love this image Anita! Gorgeous bow! Oh yes, shopping has changed for me too! OH MY GOODNESS -- I say this all the time. A very darling card. this is such a fun design, love the pp and beautiful bow too! So so cute Anita! Love the piercing and the colors are beautiful!